Though Easter might not be the most common day to host a kids’ party, it certainly can be fun. With the spring weather, Easter egg hunts, party crafts and good food are sure to be a hit. 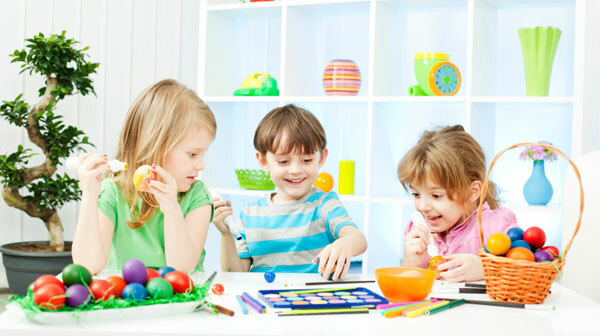 We compiled some tips and suggestions for all aspects of planning a children’s Easter party. Young kids love to play games at parties. On Easter, an egg hunt is the obvious choice, but you can also play a number of other party games revolving around the Easter theme. Check out these cool Easter party games for kids. An Easter party is the perfect time to get a little crafty. Kids can make special containers to collect all their Easter eggs, as well as other crafts. Take a look at these Easter party crafts for kids that your children and guests will love. For party food, keep things simple. Kids will be filling up on candy anyway, so a light menu is perfect for the occasion. Consider these easy Easter party recipes for kids. Don’t send your little guest home empty-handed. Easter favors can be handed out as game prizes or slipped into little goody bags. Check out these unique Easter party favor ideas for kids.